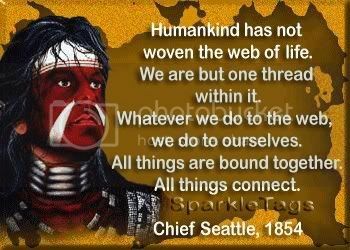 Saeth'tl, probably born on Blake Island in Puget Sound, was the principal chief of the Duwamish, whose original homeland today comprises an industrial area immediately south of downtown Seattle. The city was named with an anglicized version of the chief's name. In 1833, he was described by William Fraser Tolmie, a Hudson Bay Company surgeon, as "a brawny Suquamish with a Roman countenance and black curly hair, the handsomest Indian I have ever seen." David Denny, one of Seattle's first white settlers, said that Seath'tl's voice could be heard a half-mile away when he spoke and that he commanded his people by the force of his intellect. Son of the Duwamish chief Schweabe, Seath'tl was about seven when George Vancouver sailed the H.M.S. Discovery into the Puget Sound and met briefly with the Duwamish and their allies, the Suquamish. Seath'tl later aided his father and other Duwamish in the construction of the Old Man House, a community longhouse one thousand feet long that housed 40 families. The Duwamish and the Suquamish formed an alliance that ringed central Puget Sound. 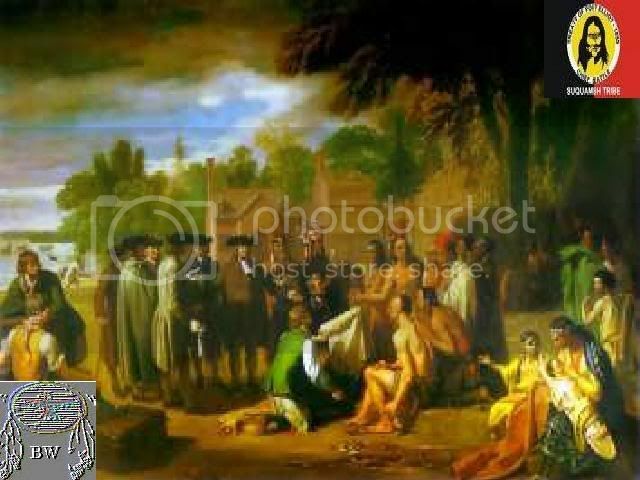 Seath'tl took a wife, La-da-ila, and became chief of the Duwamish-Suquamish alliance at the age of 22. La-da-ila had died by 1833, when the Hudson's Bay Company established a trading post at Nisqually, in southern Puget Sound. In 1841, the first "Bostons," as the Duwamish called whites, sailed into central Puget Sound in Seath'tl's territory. Ten years later, the schooner Exact delivered the first settlers in what later became the city of Seattle. From the beginning, Seath'tl resolved to cooperate with the settlers, but when they proposed naming their city after him, he protested that his spirit would be disturbed if his name was said after he died. The settlers retained the name away. Seath'tl had been a Catholic since the 1830s, when he was converted by missionaries. He adopted the biblical name Noah at his baptism and began regular morning and evening prayers among his people. Seath'tl and his band moved westward across Puget Sound after signing the Treaty of Point Elliot with Washington territorial governor Isaac Stevens in 1854. As his people prepared to move, Seath'tl delivered a haunting farewell speech that has come to be recognized as on of history's great pieces of Native American oratory. The speech was given in Salish and translated by Dr. Henry Smith, who published it in 1887. Seath'tl's speech has been published several times after and sometimes embellished. Environmental conservation was not a subject of general debate and controversy in the mid-nineteenth century as Euro-American settlers sped across the land mass of the United States. Yet from time to time, the records of the settlers contain warnings by Native leaders whose peoples they were displaced describing how European-bred attitudes toward nature were ruining the land, air, and water. Perhaps the most famous warning of this type came in Chief Seath'tl's farewell speech. "Our dead never forget the beautiful world that gave them being. They still love its verdant valleys, its murmuring rivers, its magnificent mountains, sequestered vales and verdant-lined lakes and bays....Every part of this soil is sacred in the estimation of my people. Every hillside, every valley, every plain and grove has been hallowed by some sad or happy event in days long vanished. Even the rocks, which seem to be dumb and dead as they swelter in the sun along the silent shore, thrill with memories of stirring events connected with the lives of my people. 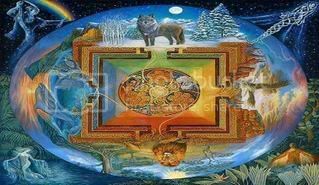 [Anderson]"
In the development of an environmental philosophy today, Chief Seath'tl's words are often cited as evidence that many Native Americans practiced a stewardship ethic toward the earth long before such attitudes became popular in non-Indian society. The debate ranges from acceptance of several versions of Seath'tl's speech to a belief that the original translator, Smith, as well as many people who followed him, put the ecological concepts into the chief's mouth. Regardless of the exact wording of Seath'tl's speech, it did contain environmental themes. Seath'tl was not telling the immigrants what they wanted to hear, because they displayed no such ideological bent. The farewell speech also touched on fundamental differences between cultures. Your God is not our God....We are two distinct races with separate origins and separate destinies....To us, the ashes of our ancestors are sacred and their resting place is hallowed ground. You wander far from the graves of your ancestors, seemingly without regret. Your religion was written on tables of stone by the iron fingers of your God so that you cannot forget it. The Red Man could never comprehend nor remember it. Our religion is the tradition of our ancestors - the dreams of our old men, given to them in the solemn hours of the night by the Great Spirit, and the visions of our sachems; and it is written in the hearts of our people.